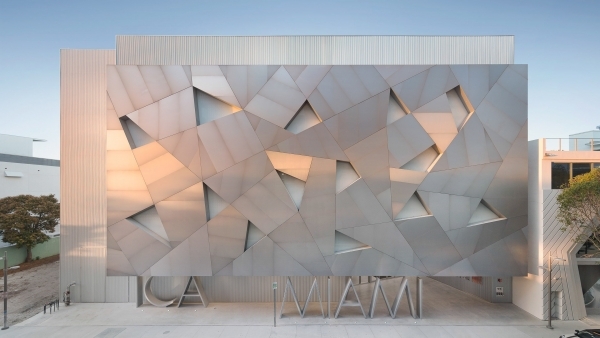 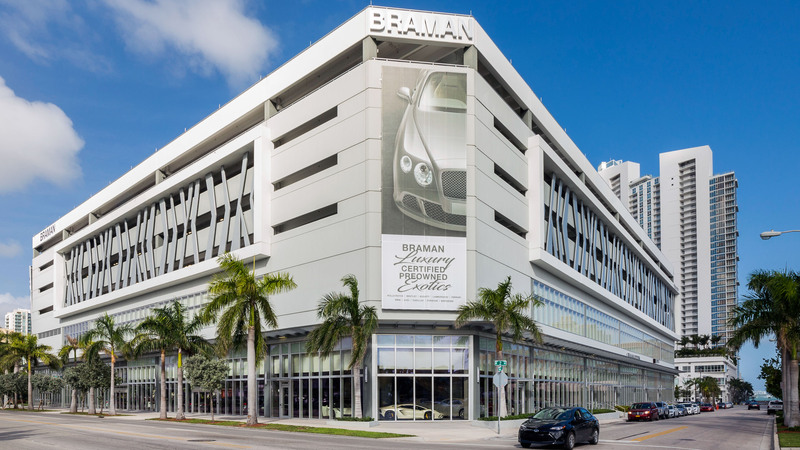 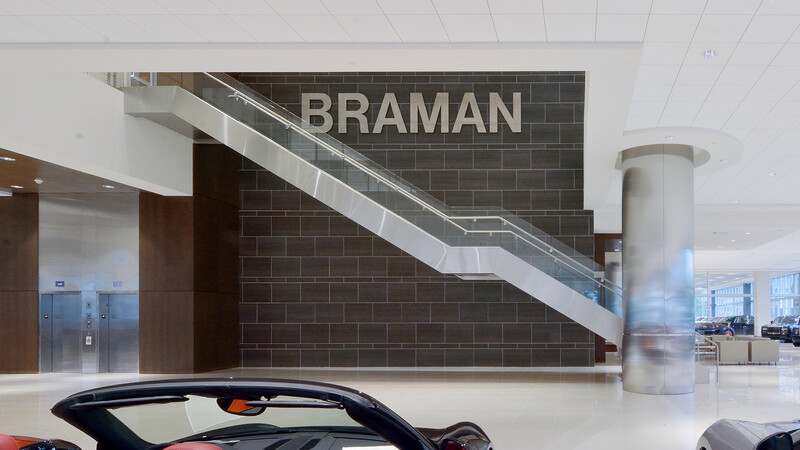 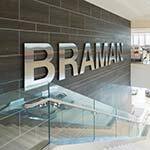 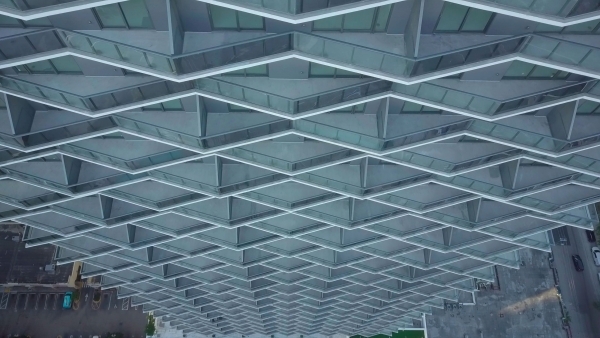 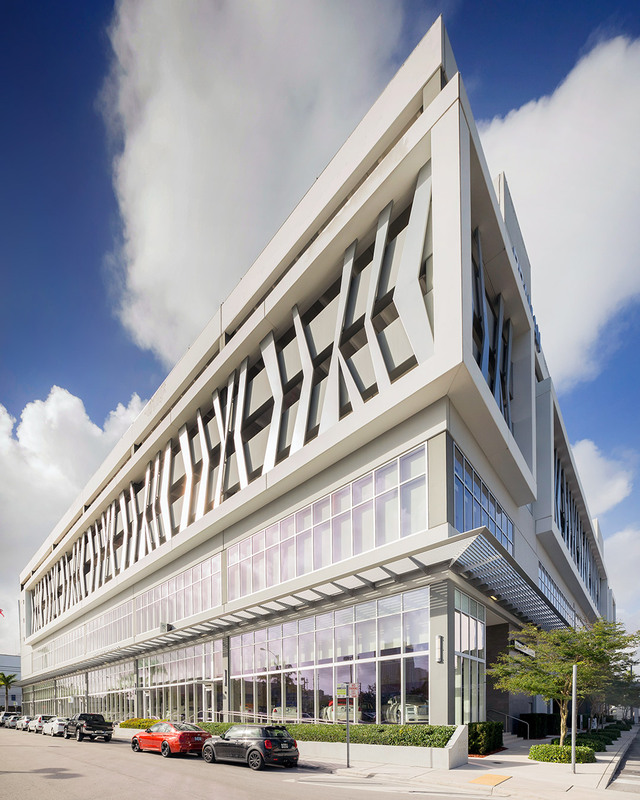 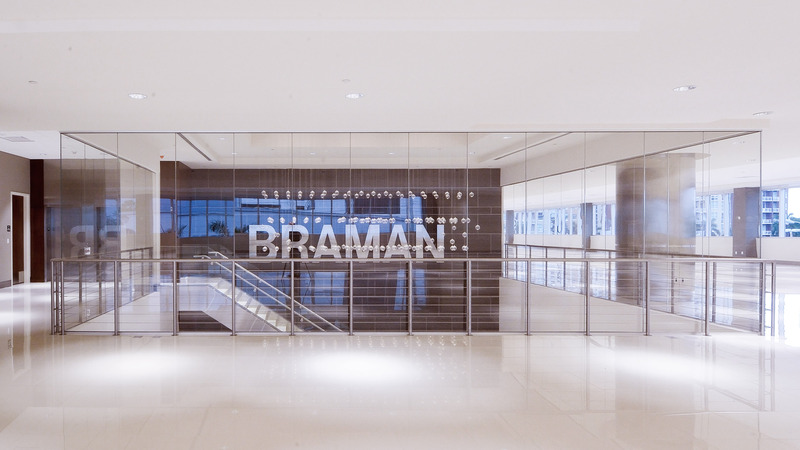 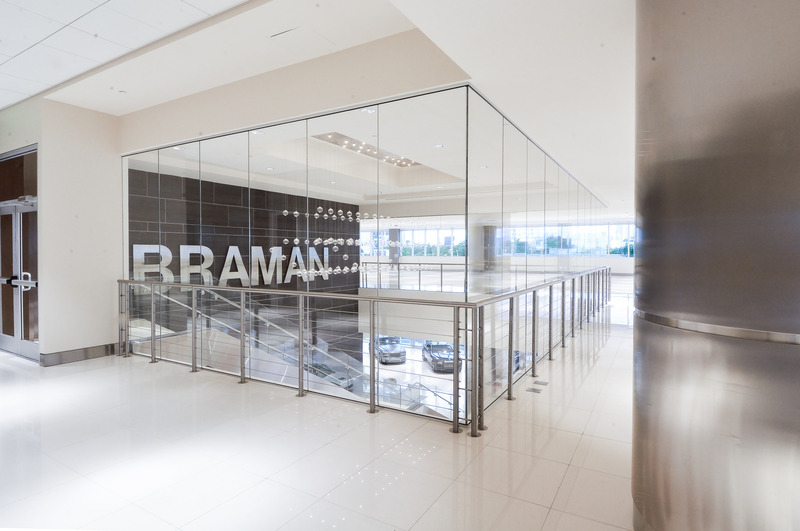 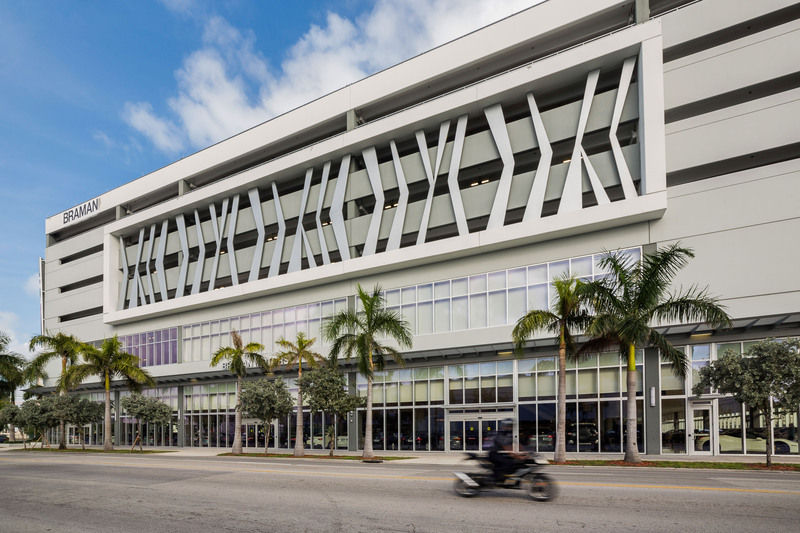 Braman Motors Showroom is a $30M project designed by Wolfberg Alvarez in Miami, Florida. 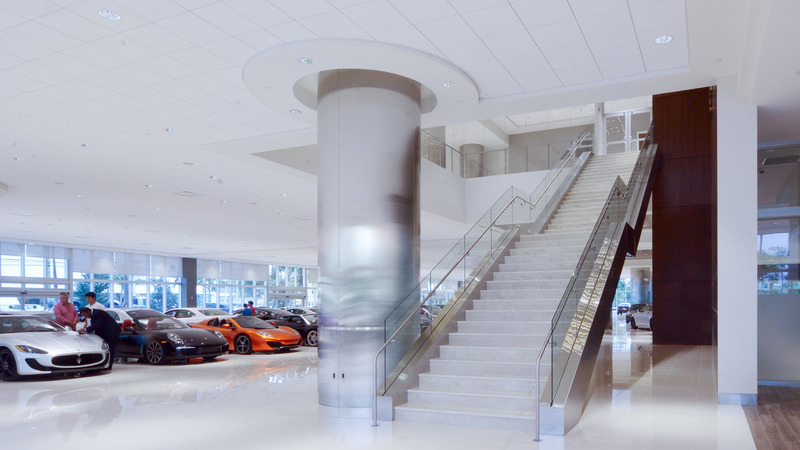 The new showroom adds a vehicle storage facility atop a showroom where luxury automobiles are on display. 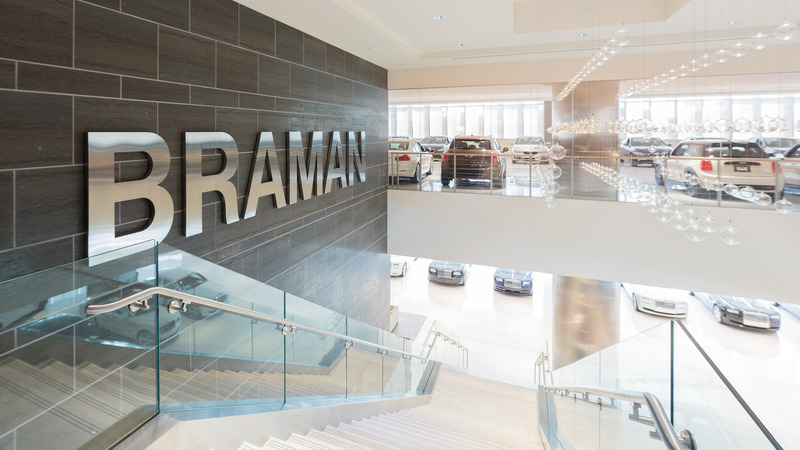 In all, the showroom has capacity for 1,600 vehicles. 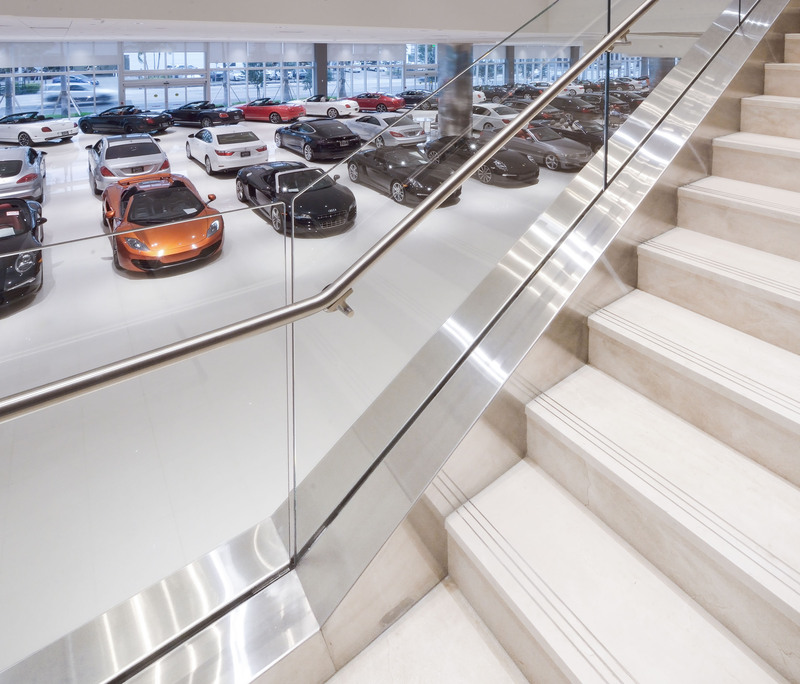 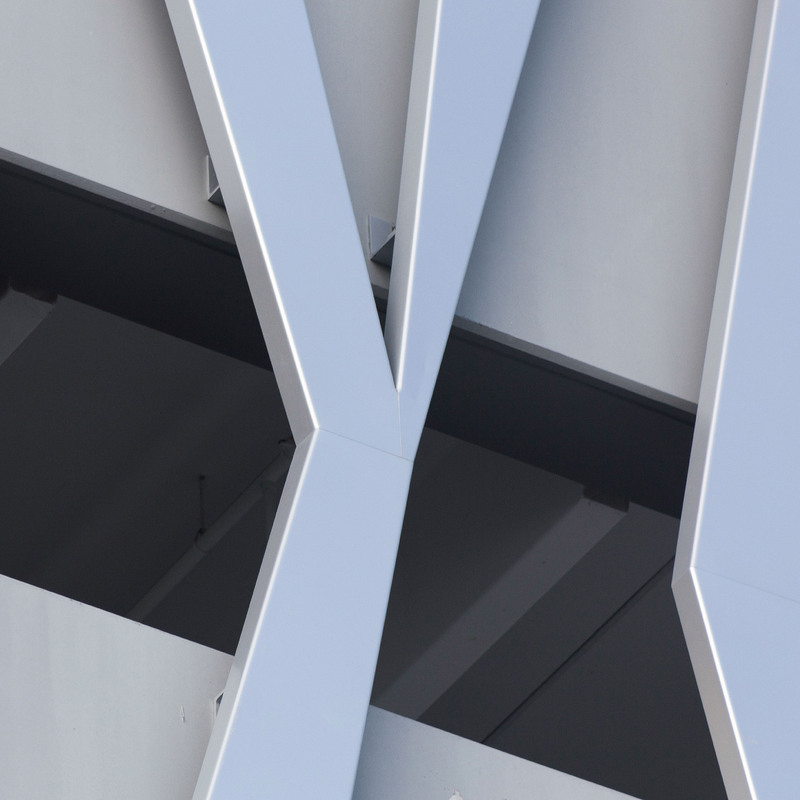 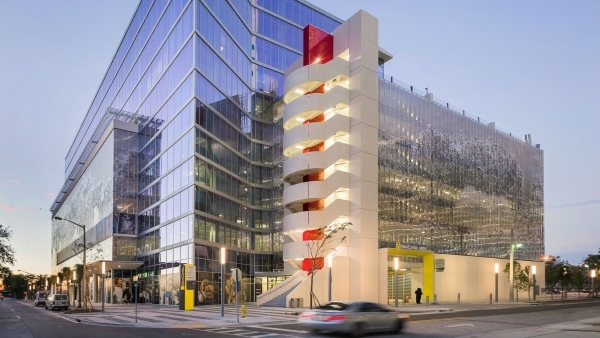 Poma was responsible for not only the building’s feature facade, but also the monumental stair which facilitates access from the showroom floor to the second floor showroom. 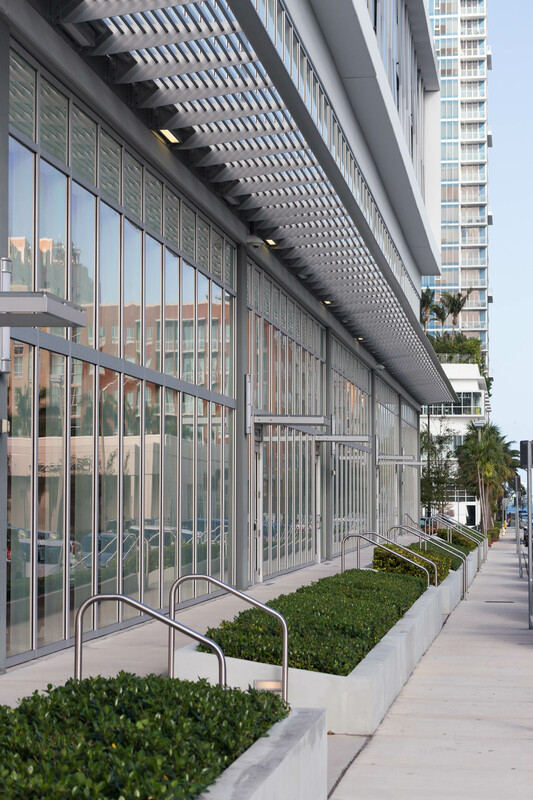 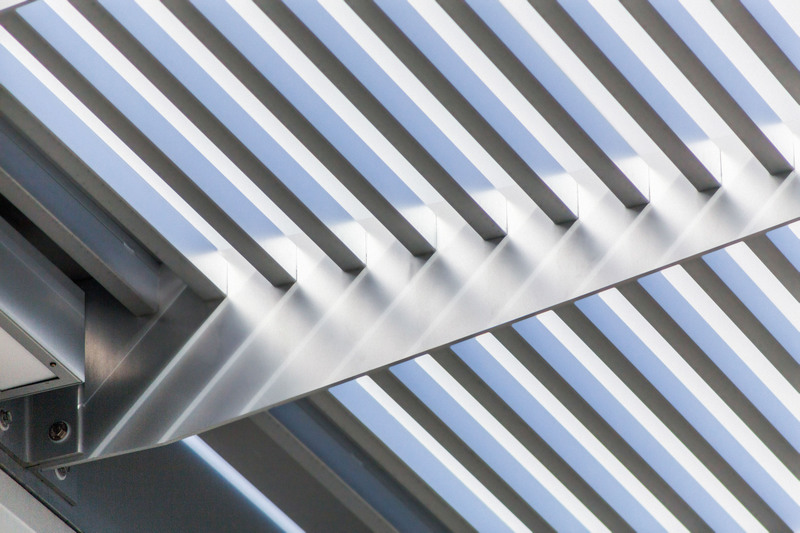 Included in Poma’s facade scope: 6′ continuous cantilevered sunshades, a grand stairway with postless glass infinity rail, glass canopies, lateral railings, and cable railings. 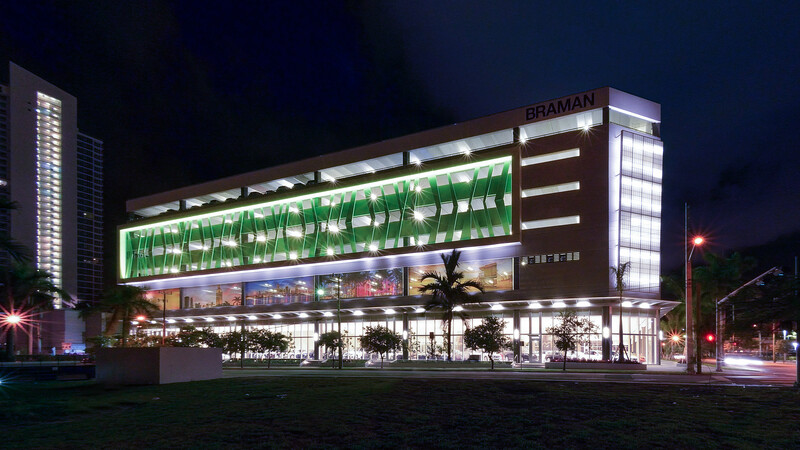 Poma provided design assist for the project. 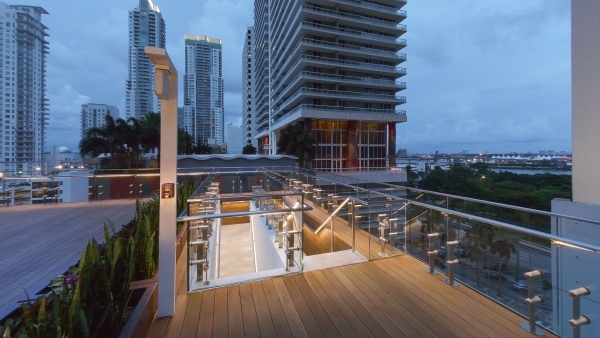 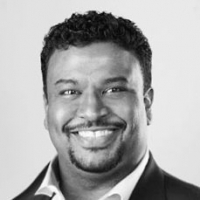 This meant working with the contractor and architect for all interior and exterior elements. 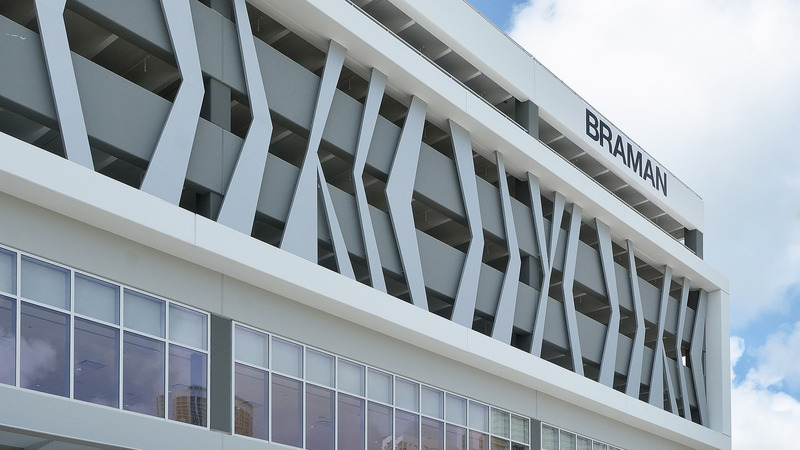 Through this collaborative process, the scope was value engineered to meet the finalized approved budget. 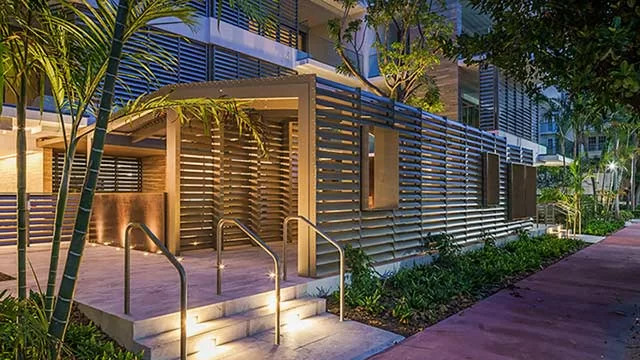 Our experience with Poma Construction has established them as one of our best subcontractors. 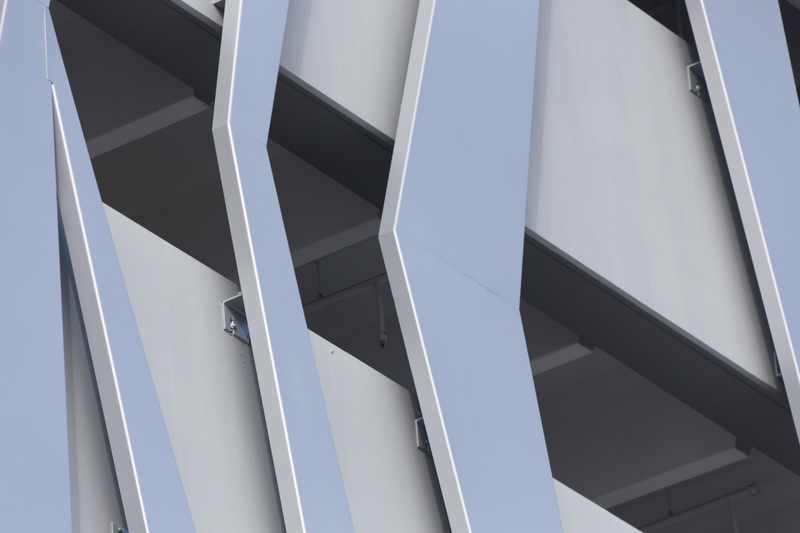 The construction of a 500,000 sqft, multi-level facility on a tight site with on-going operations is quite a logistics challenge … a task that was expertly handled.